Ah yes, June is when the kids are out of school, the weather gets warmer, and we begin spending more and more time outdoors enjoying our patio and balconies. So just in time for summer, we are announcing the "Beautify Your Balcony" contest! The grand prize is a $25 gift card...and bragging right.How do you enter? Entry is simple! Just submit a picture of your patio/balcony by this Father&apos;s Day (June 18th), along with your name and apartment number, via email to contact@GRErentals.com (SUBJECT LINE: Beautify Your Balcony). On June 26th, we will draw one name and announce that winner on Facebook.com/HaymeadowApts. It&apos;s that simple! Send us a photo and you will be entered in a drawing to win $25! Restrictions:Must be a current resident of our apartment community, Haymeadow Apartments, as of June 1, 2017.Must 18 years or older to participate.Must be on the lease.Entry in contest gives GRE Property Management the right to use the photo for promotional purposes.It really doesn&apos;t require spending a bunch of money. Just a rug, couple of potted plants and maybe a chair or something. Boom! A Beautiful Balcony! 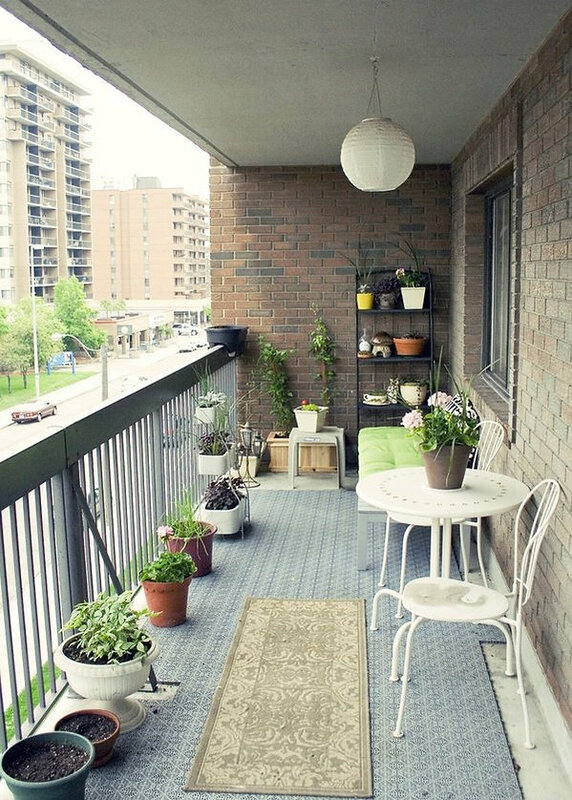 If you have any cool balcony ideas, PLEASE SHARE!Good luck! And thank you for reading!